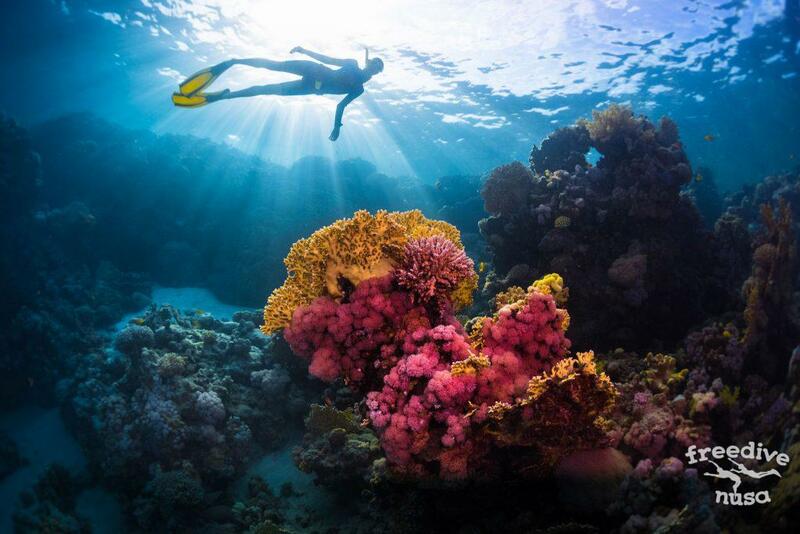 Do you wanna feel the meditating feeling of underwater world? Or maybe you want to find your inner peace… Or maybe you are just looking for a fun day in the ocean. So why not to try Freediving? If Freediving on a tropical reefs and exploring marine life interests you more than pushing your limits in a pool or on a dive line then our Try Freediving course is perfect for you! 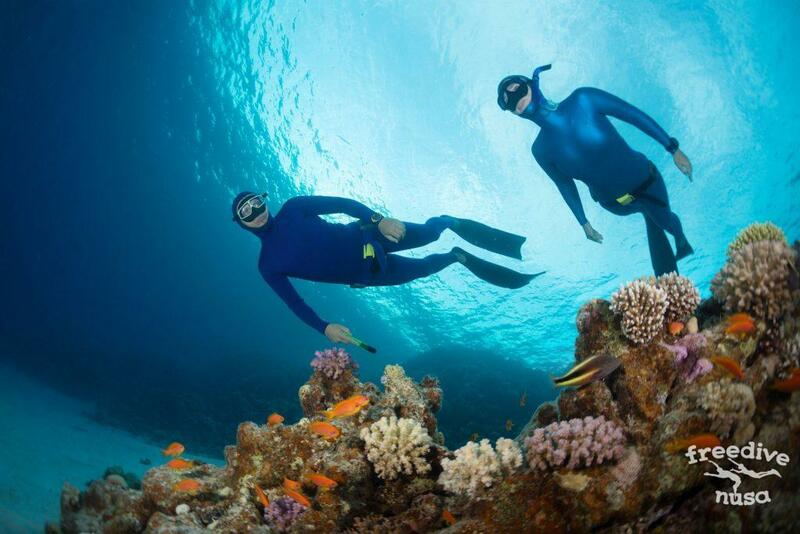 This is a half day course that covers the basics of safe recreational Freediving. We also called it “Advanced Snorkeling”. 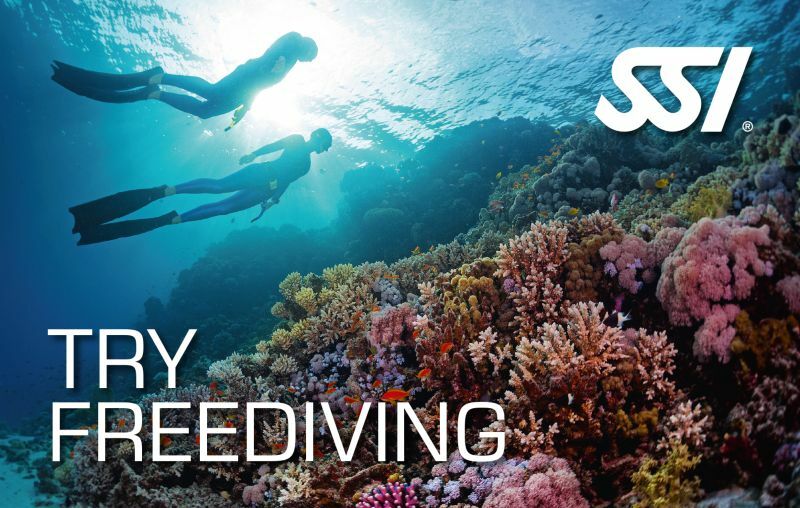 This course will allow you together with a buddy to freedive on the reefs and interact with marine animals like dolphins, manta rays, turtles, etc. Except being a confident swimmer, you do not need any previous experience to participate the course. We recommend this course to every snorkeler who never tried Freediving but want to join Manta Trip and try snorkeling with majestic manta rays. This course definitely will make you more confident in the open ocean especially if you never be there before, and will make your experience more safe and pleasant. The course includes theoretical and practical session on the land. The topics which you will learn during the session include breathing, relaxation, physiology, equipment, equalization and safety. During the open water session you will go in the ocean with you instructor to practice Freediving techniques right on the reef and explore you new abilities while diving on a one single breath. You will practice in water effective equalization technique, proper kicking and duck diving, proper breathing before and after the dive, etc. You will definitely feel yourself more confident and relaxed after the session and will have lot of fun while exploring rich reefs of Nusa Penida. After the course you will be confident to dive on breath-hold up to 5 meters, explore underwater treasures with friends in safe way and fully enjoy your swimming and snorkeling activities.  You will earn the SSI Try Freediving recognition rating after completing this program and can continue your Freediving education in future by taking full Freediving Level 1 course. This course is a good preparation for our Manta Trip where you can experience freediving and snorkeling with awesome Manta Rays. So we also recommend to our guests package “Try Freediving + Manta Trip” for USD 95 per person.